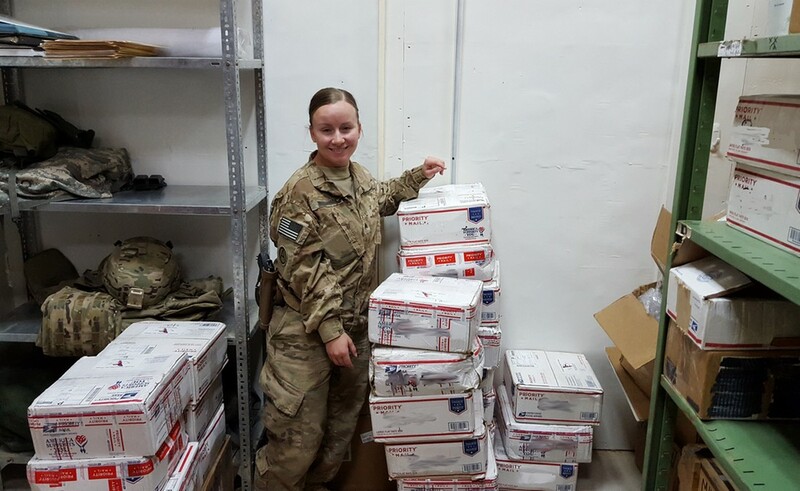 Care Packages for Soldiers: Soldiers in the Mideast Appreciate Care Packages They Received. 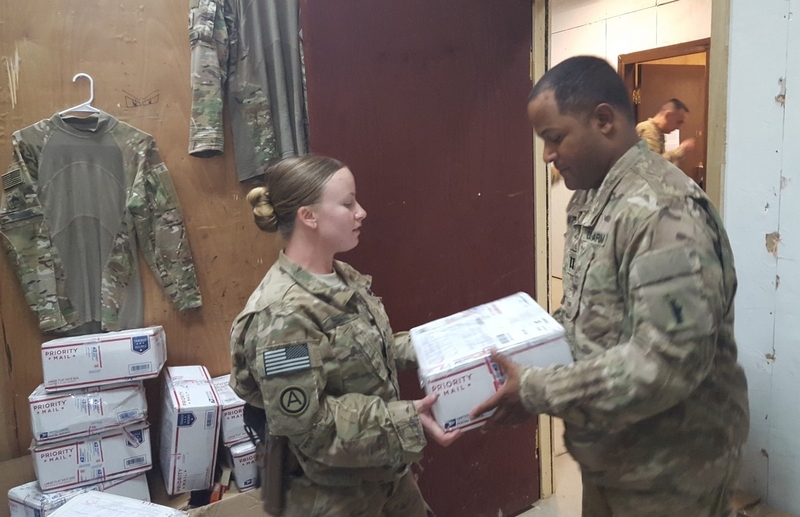 Soldiers in the Mideast Appreciate Care Packages They Received. 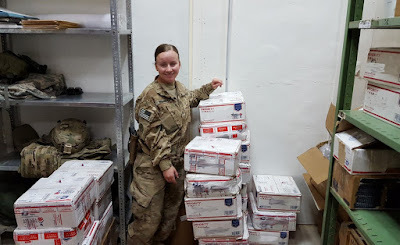 Here are a couple of thank you notes and a few pictures from the Mideast for the care packages they received from the Airborne Angel Cadets of Texas..
"We received your boxes earlier this week. I must say that all of us are completely overwhelmed by your thoughtfulness, kindness and generosity. Your gesture proves that there are still people that care about us and what we do. We stay quite busy but will surely enjoy all the items that you sent at every available opportunity. Thank you again for your support and generosity on behalf of the entire Operations Division of Combined Joint Task Force Operation Inherent Resolve." "We just received your packages. Everyone loved them. Thank you for everything you sent to us. We really appreciate all the support you have shown us! Thank you so much!!!" Soldiers receive care packages with food, snacks and toiletries. 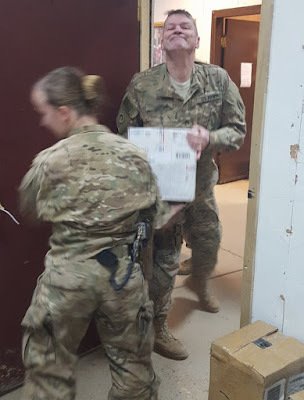 This soldier is very happy to receive the boxes filled with goodies. Care packages bring a big smile to this soldier's face! The Airborne Angel Cadets of Texas are happy to support our troops overseas. You can help by donating through the Click and Pledge link at the top of the page or checks can be made payable to: Airborne Angel Cadets of Texas, P.O. Box 116691, Carrollton, TX 75011.